This counts as a diversionary post. These are not books for the Fellow Reviewers.Yet. But as I spent the last 24 hours immersed in these books' company, in a frankly gluttonous feast of words, they are where my head is at. They both deserve their own separate reviews really, but turned out to be rather interesting to read together; sharing both themes and qualities. 'Shine' is Candy Gourlay's second novel, following the acclaimed 'Tall Story'. 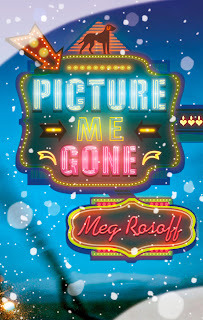 'Picture Me Gone', Meg Rossof's sixth book; although I confess I haven't read any of the intervening four since 'How I Live Now' came out 10 years ago. I have some catching up to do. She's such a pretty arranger of words. 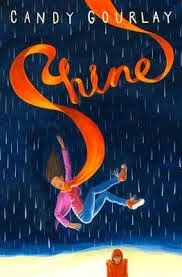 Superficially my claim that they twin nicely seems dubious: "Shine" tells the story of Rosa, a teenage recluse by necessity of her disfigurement on the superstitious island of Mirasol where it never stops raining. Her virtual escape through her computer brings the possibility of new friendship but also danger. 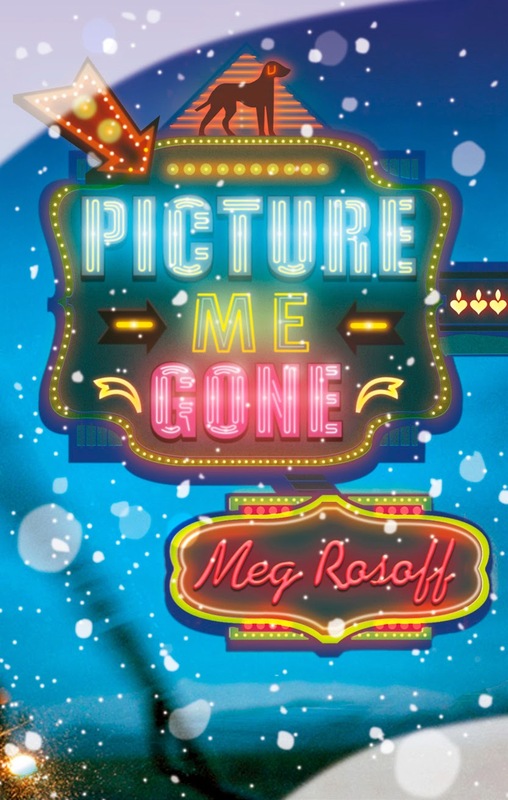 "Picture Me Gone" is a road trip mystery. 12 year old Mila accompanies her father to the US to help find his friend who has disappeared. The main point of comparison though is that both books are wonderfully well written taut, compact prose. It was greedy of me to read both in one day (and may make the writers' despair, given the craft and time of their own that went into them!) but Oh it was lovely. And it was possible: Not that they're that short-but hurray for telling stories with only what is necessary and beautiful included. I could not stop reading either book in fact and it's a long time since that's happened. Sorry kids- who got a lot of "mmm...lovely dear" through whatever they were telling me yesterday afternoon as I mentally absented myself. I missed the recent 'Nosy Crow' conference on Children's Publishing alas, but I believe Lucy Mangan said in her speech that one of the reasons she reads children's books is because she 'doesn't have time to be bored'. The truth of her words was with me yesterday. I consumed my treats at speed, you may choose to savour but be assured; treats await you. Polly, thank you so much for your kind words and enthusiasm. I loved Picture Me Gone too and I feel slightly unworthy to share the page with one of my favourite authors. I know what fun it is to have a greedy reading day ... may you have many more!